Everlytic’s email template development team brings your emails, subscription forms, or landing pages to life. 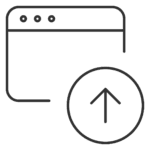 Just give us your content and we’ll convert it into fully responsive templates that are true to your brand and compatible with our Drag-and-Drop Builder. Once we’ve converted your designs into Builder-ready templates, we’ll test them for you too. 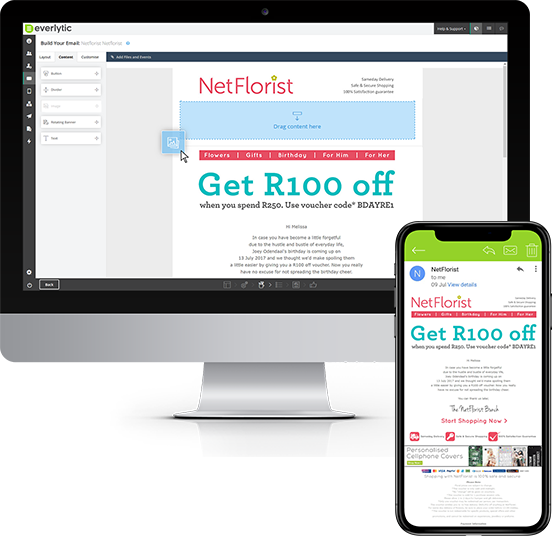 This ensures that your emails work across as many devices and email platforms as possible – supporting optimal user experiences. 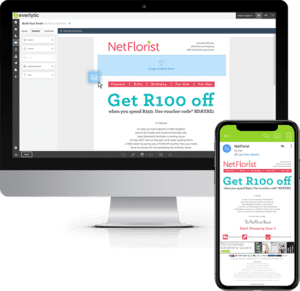 The Everlytic system also has a built-in SPAM testing tool that helps you adjust your emails, so they stand a better chance of reaching your subscriber’s inbox. Want to optimise your email templates?